He says there should be 50% vocational and 50% academic training, including at university level. 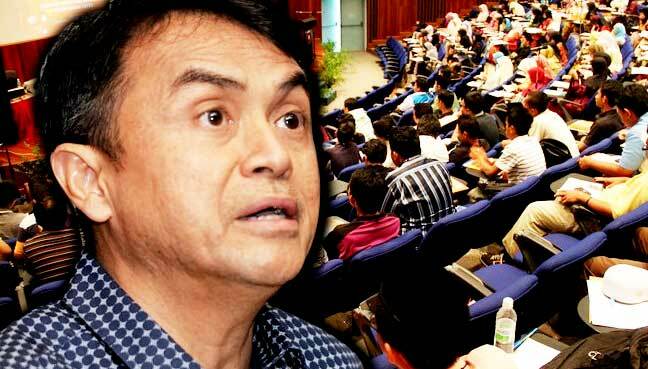 PETALING JAYA: Centre for Global Affairs Malaysia (Icon) president Abdul Razak Baginda has suggested that Malaysia implement a hybrid system of education which combines vocational and academic training. He was commenting on the country’s high number of unemployed graduates. Recently, Bernama reported that 54,103 graduates were unemployed last year even after six months of completing their studies. Higher Education Minister Idris Jusoh said the number was based on the Graduands Detection Survey System (SKPG), which recorded 238,187 students at institutions of higher learning had completed their studies last year. Speaking to FMT, Razak said part of the problem was that the education system in the country was too streamlined. “Not everyone is going to be a rocket scientist or a brain surgeon. “So there’s no need for so much emphasis on academic training while completely ignoring vocational training,” he said. “On the other hand, we do have vocational schools but we don’t have vocational schools at a higher level. He noted that universities offered internship programmes but said this wasn’t enough. He said a hybrid system was being practised in some advanced countries such as Germany, but civil servants in Malaysia weren’t creative enough to think of such a solution. “We should be more creative and think of a hybrid system which is 50% vocational training and 50% academic training,” he said. “Some people say that when you graduate from a university, you know how bicycles are made but you don’t know how to ride a bicycle. So what’s the point?